Professionals can choose between three different work visas to migrate to Singapore. The number of S Pass holders a company can employ is limited. While many other countries are turning away immigrants, Singapore continues to have an open door policy for all immigrants. In fact, the number of immigrants in this country has been steading rising for many years. 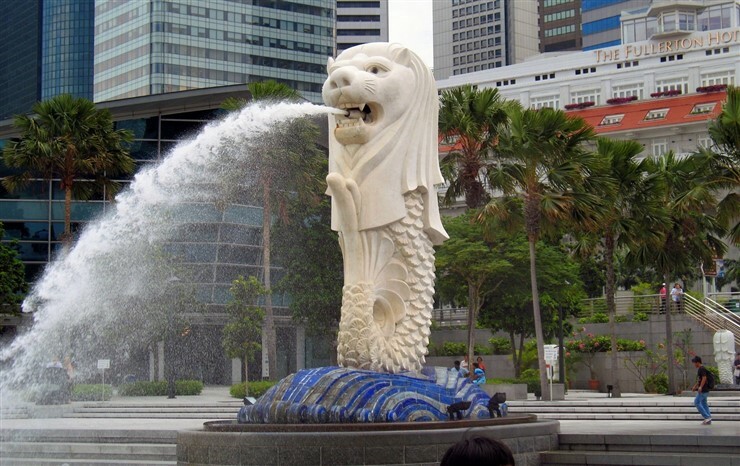 To know more about how you can migrate to Singapore, read on. An immigrant population is not a recent development in Singapore. As far as World War II, immigrants accounted for a majority of the island’s population. In 2017, Singapore’s total population was around 5612.3 thousand of which 1646.5 thousand were nonresidents. A majority of the resident population is of Chinese descent while Malays and Indians account for a little over 20% of the population. There is no one particular reason why people migrate to Singapore. A large expat population means that it is easy for immigrants to settle in this country. Singapore offers world-class education at every stage from kindergarten to university. The country has a strong economy and is home to some of the highest paid people in the world. Coupled with a low cost of living lets Singaporeans enjoy a high standard of living. The country’s natural beauty and tourist attractions are yet another reason it looks attractive to people. Most of Singapore’s migrant population comes from nearby countries. There are many ways people from these countries migrate to Singapore. This depends largely on why they want to move here. Professional can choose between three different types of work visas to migrate to Singapore. A highly qualified professional can apply for an Employment Pass (EP) to migrate to Singapore. The company seeking to employ the individual must apply for this. It is valid for up to 2 years as long as the same company employs the individual. If the individual switches jobs, the new company will have to reapply for an EP. An EP can be renewed for up to 3 years. No levies or quotas are applicable for EPs. Migrants earning more than $4000 per month may bring their spouse and dependent children to Singapore. Migrants earning more than $8000 per month may also bring their parents to Singapore. A first-time employee must be paid a minimum salary of $3,300 per month. The minimum salary may increase based on the applicant’s experience. The individual must have the educational qualifications necessary for the position. The individual must have relevant experience. This is also referred to as an Entrepreneur Pass. It is intended for foreign entrepreneurs who want to migrate to Singapore and operate new businesses in the country. The Entre Pass is valid for a period of 1 year and may be renewed further. Dependents can be brought to Singapore only after the pass has been renewed once. Thus, no dependents can be brought to Singapore in the first year. No levies or quotas are applicable for an Entre Pass. The individual must be at least 21 years old. He or she must have the relevant education and experience. The applicant must own at least 30% of the new venture. The business must be able to provide local employment. The individual’s business must be registered with the Accounting and Corporate Regulatory Authority (ACRA) or he must intend on registering it on receiving the Entre Pass. This is a special visa reserved for high-earning professionals who want to migrate to Singapore and Employment Pass (EP) holders. The PEP gives the individual flexibility in terms of switching jobs as it is not associated with any one particular employer. The visa is typically valid for 3 years and also allows the individual to stay in Singapore for up to 6 months without a job. This via cannot be renewed. No levies or quotas are applicable for the PEP. The applicant may bring his spouse, children and parents to Singapore as dependents. If the applicant is a foreign professional, he or she must draw a minimum salary of $18,000 per month. If the applicant holds a valid EP, he or she must draw a minimum salary of $12,000 per month. This visa is intended to be used by lesser qualified workers wanting to migrate to Singapore. The company seeking to employ the individual must apply for this visa. A quota limits the number of people a company can employ with S passes. According to this quota, S Pass holders cannot account for more than 15-20% of a company’s total workforce. The S Pass is valid for a period of 2 years and may be renewed for another 3 years as long as the individual is still employed by the same company. If the individual earns more than $4,000 per month, the individual’s spouse and children may also migrate to Singapore. Migrants with an EP, PEP or S Pass may bring their legal spouse and dependent children to Singapore with a Dependent Pass. Stepchildren, a common law spouse and disabled children over the age of 21 years may migrate to Singapore with a Long Term Visit Pass (LTVP). The company that sponsored the EP, PEP or S Pass visa for the individual wishing to bring his or her dependents must apply for this. It is valid for up to 2 years subject to the validity of the EP, PEP or S Pass visa associated with it. It may be renewed further. No levies or quotas are applicable for a dependent pass. Children are considered dependent as long as they are below the age of 21 years. This is designed for an individual who wants his or her common-law spouse, stepchildren and parents to migrate to Singapore. The company that sponsored the EP, PEP or S Pass visa for the individual wishing to bring his or her dependents must apply for this. It is valid as long as the EP, PEP or S Pass visa associated with it is valid. No levies or quotas are applicable for a dependent pass. Permanent residency can give people who migrate to Singapore many of the same privileges as Singaporean citizens. This includes the right to buy property in Singapore, higher priority public schooling for children and the right to live in the country without being subject to visa restrictions. Individuals already working in Singapore with a valid Employment Pass or Entrepreneur Pass can apply for permanent residency through this scheme. To be eligible the individual must have worked in Singapore for at least 6 months. Under this program, an individual can apply for permanent residency for himself/herself and their immediate family by investing a minimum of SGD2.5 million in a new or established business or in a GIP-approved fund. The individual must also have an entrepreneurial background and a good business track record. Individuals talented in arts such as photography, music, dance, theatre, literature or film wanting to migrate to Singapore can apply for permanent residency through this scheme. To be eligible the individual must be a recognized artist in his/ her own country and must have the necessary qualifications and training. The individual must also have made a significant contribution to the art and cultural scene in Singapore.